You really should not visit the Riviera Maya for vacation and NOT go to Chichen Itza, one of the Seven New Wonders of the World. The other ones, if you must know are The Great Wall of China, the Taj Mahal in India, the city of Petra in Jordan, the Colosseum in Rome, Machu Picchu in Peru and Christ the Redeemer in Rio. The Mayan civilization was amazing for the sophistication and science and astronomic genius they brought to the world a couple of thousand years ago! The various cities and structures within the cities line up with astronomic events and markers. The size of the great pyramid (El Castillo) and other structures before the invention of mortar are amazing beyond all words. Chichen Itza rose to dominate the region at the end of the Early Classic period (roughly 600 AD). However, only towards the end of the Late Classic did the site became a major regional capital, centralizing and dominating political, power in the northern Maya lowlands. 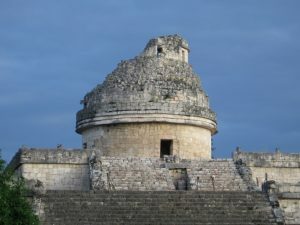 When building the Chichen Itza, the design and properties of it reflected the sophistication, intelligence, and relationship to their calendar and specific astronomical events that the Mayans had. For example, they built the pyramid with 365 stairs, each representing one day of the year, the four edges of the pyramid point in North, East, South, and West and on the autumnal and spring equinoxes the design of the stones are made to look like snakes slithering down the sides of the pyramid due to the shadow cast on it. The snakes are representative of the Mayan God, Kulkulkan, which the pyramid is also known as. It even has pretty amazing auditory properties and if you stand in just the right spots your cheers, claps and whistles will echo perfectly around the structure. By the time the conquistadors arrived in the mid-1500s, the city had begun to fade, but it was still functioning city and was set up as a capital and later as a cattle ranching center. It fell into disuse until the 1800s where it became an archeologic interest. You can find a more detailed history and description at the History website. Chichen Itza amazingly was privately owned until 2010 and is now owned by the state of Yucatan. Chichen Itza is now an easy 1 1/2 hour drive from Vidanta Riviera Maya. If you self drive, take the new toll road branch just north of Playa del Carmen. This ties into the toll road out of Cancun. Don't be fooled by the guys trying to flag you down before the entrance to the site. Alternatively, you can take a tour right from the resort. 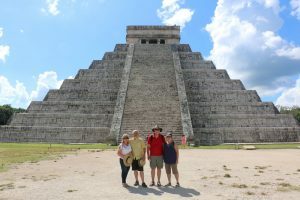 There are a bunch of great accommodation options available to you when visiting the Chichen Itza. You can choose to stay locally in a hotel close to the ruins and there are also a number of options in the nearby colonial town of Valladolid, situated 25 miles east of the historic site. 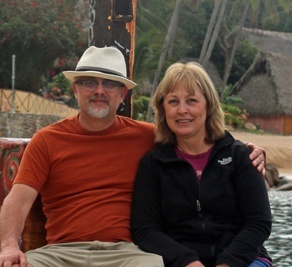 Another, more popular option is to head over to stay in the coastal region of Riviera Maya. Seclude beaches await where you can enjoy the serenity of the Caribbean Sea, however, you are within a short distance of city amenities. The 5-star Vidanta Riviera Maya Resort is a no brainer for those of you wanting close proximity to Cancun and Playa del Carmen without the usual hustle and bustle of big tourist areas. The complex offers a wide array of rooms to suit everyone’s tastes and budgets, from small 1-2-bedroom family suites to the luxurious Spa Tower offering 2-3 bedrooms boasting incredible square footage and your own private plunge pool. Perfect for families and even couples who enjoy a little more privacy and space. Regardless of the room you choose, you will be equipped with a fully functioning kitchen for times when you want to take a break eating from the twelve onsite restaurants, access to a wealth of activities and entertainment and of course, full access to the four pools and Beach Club area. Beyond the Chichen Itza, there is also a wealth of other diverse things to see and do in the area that aren’t to be missed. For the wildlife lovers amongst you, this area is host to some amazing birdlife and there are countless birdwatching opportunities available to tourists. If you’re looking for a relaxing day, you can head to the Yaxkin Spa for beauty treatments and rituals based around Mayan traditions. There are even cenotes, which is a perfect place to take a dip in the shade after a long day in the sun, it’s also a photographer’s dream. Finally, you can even attend several music, dance and theatre performances at Chichen Itza during the spring equinox (March 19-21), known as the Descendent of Kukulcan. It is an hour and half drive from most places in the Riviera Maya and not a lot interesting on the way. Take plenty of water, there isn't much shade. It will take you at least 2 or 3 hours to see the main features of the site. We have a video made by Abel, the guide that we used. He was knowledgeable and had a great sense of humor. We met him at the gate and he did a fantastic job. You should make sure you know much time your fee is buying you. Our tour was only one and half hours. It was fabulous, but wish we had arranged for a bit more time. 2 or 2 1/2 hours would be better. He even taught us a cool new trick using the iPhone panorama feature. If you want to know how we did it, here is a link to the panorama trick with the iPhone. Notice that the four of us appear twice in the same photo! Finally, I have a video business card of our tour guide, who again, we can recommend as entertaining and informative. In case you can't hear him on Pitzz4525@hotmail.com. His phone number is +52 9851064757 and Instagram @pitzz4525.